To investigate the effects of continuous intervention with branched chain amino acids-enriched nutritional supplements from the acute phase to convalescent rehabilitation wards in inpatients with gait impairments. Open-label, randomized, parallel-group comparison study (UMIN Clinical Trials Registry ID: UMIN000018640). We studied 80 patients undergoing stand/gait training. 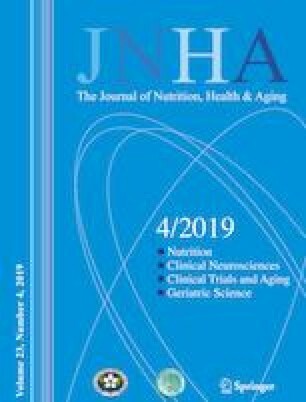 Participants in the intervention group (RJ group) received nutritional supplements (jelly foods comprising 2500 mg BCAA and 20 IU vitamin D) twice a day until hospital discharge. The primary outcome was the motor components of the Functional Independence Measure (FIM-m), and the secondary outcome was skeletal muscle mass index. Analyses were conducted on 55 patients who were able to perform stand/gait training continuously from the acute until the recovery phases. FIM-m was significantly elevated in the RJ group and the control group, but no difference was noted between the two groups. Only the RJ group showed a significant increase in skeletal muscle mass index, and the amount of variation was significantly different between the two groups (the control group decreased an average of 2.2% and the RJ group increased an average of 4.3%; P = 0.014). A significant decrease in body weight was found only in the control group (P = 0.084). Nutritional interventions using branched chain amino acids (BCAA)-enriched nutritional supplements demonstrated no significant difference in activities of daily living; however, an increase in skeletal muscle mass was noted. Skeletal muscle mass and body weight differed significantly between the two groups, and BCAA-enriched nutritional supplements intake in acute and convalescent rehabilitation wards may be effective for the prevention of malnutrition and sarcopenia.